Saturday was enjoyed in the backyard, building a new chicken coop. I wanted to keep working until dark, so I paused only briefly to fire up our first grill of the year. The Weber Smokey Joe is the perfect size for family meals, and my wife grilled rabbit sausage over lump hardwood charcoal. Cooked over low heat, we removed the lid for the last few minutes to brown the links. 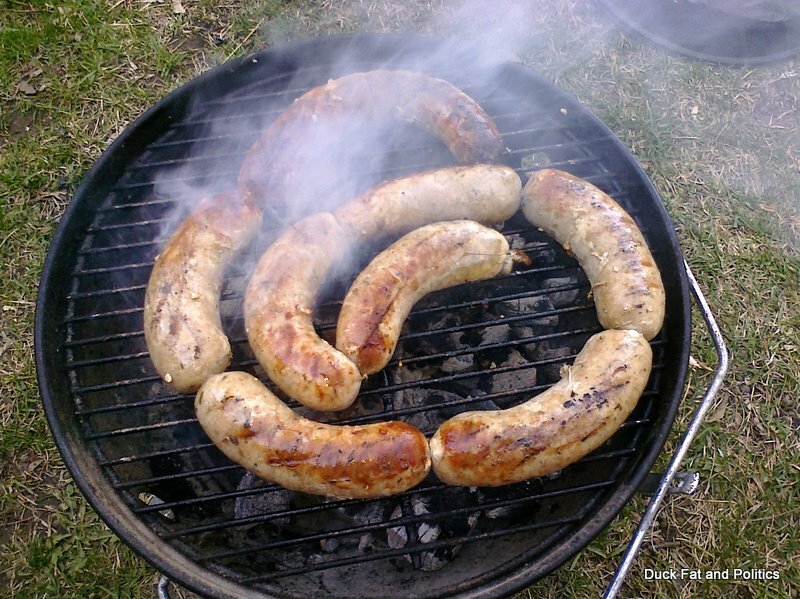 Seasoned with thyme and accompanied by a cold Summit Pale Ale, the sausage was a great start to grilling season.